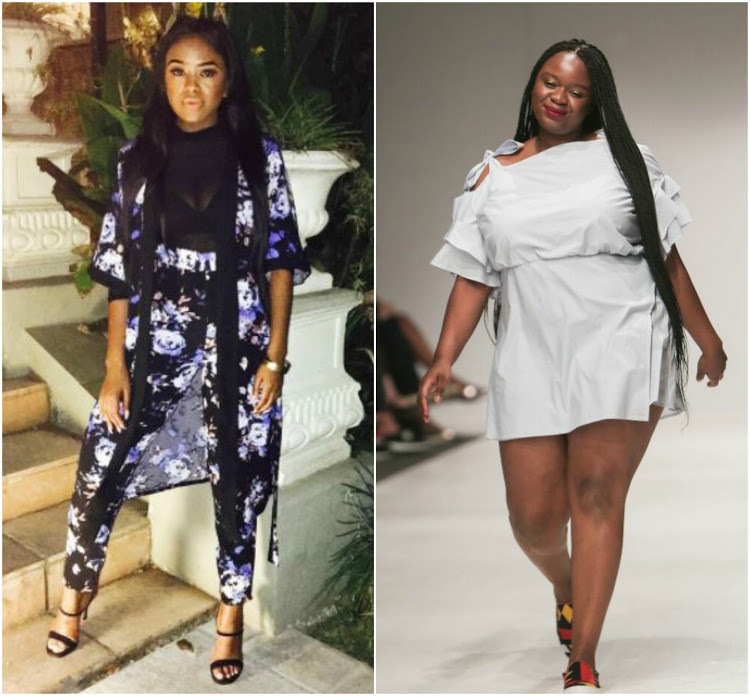 After trading shade during a heated exchange on Twitter this week, Lerato Kganyago and plus-size model Thickleeyonce have settled their feud. The long-standing beef between the two stars resurfaced on Wednesday, after Thickleeyonce used a social media thread to address the hate she received following her SA Fashion Week appearance. During the thread she apologised to Lerato for criticising her outfit during a rant in 2015. Lerato didn't appreciate being dragged into the debacle and put the model on blast for bullying people, but not being able to take it. Speaking to TshisaLIVE, Thickleeyonce said that she had no problem with Lerato and the pair had settled their differences. "We are good. I think there was a misunderstanding but it has been sorted out now and we are good," she said. She admitted that the exchange may have escalated after she failed to take Lerato's phone calls, but said that it was not done to spite the Metro FM radio host. "My phone was on do not disturb mode because the media was phoning me constantly and I wasn't in the mood to talk. I was not avoiding her calls and I called her back. We spoke about what we needed to but what is most important is that we are all good and on the same page now. There was no argument," she added. Despite previously withdrawing an apology to Lerato after their feud flared up again, Thickleeyonce said that she was a hundred percent certain the pair were now friends.